The best place for opera in Prague. A high quality performances are guaranteed. The repertoire consists of versions of the most popular opera by W.A. Mozart, G. Verdi, G. Puccini and G.Bizet. In the 19th century the German community of Prague desired for their own theatre. After a few years of negotiating the works started and the first performance took place in 1888. The building was known as the Prague German stage. All financing came only from private collections. It was built by architects Karl Hasenauer and Alfons Wertmüller. The last performance took place in 1938 when it was sold to the Czechoslovak state. Until then, some of the exceptional artistic figures who performed here were directors Gustav Mahler, Richard Strauss, Felix Mottl, Arthur Nikisch and Felix Weingartner, as well as soloists Anna Bahr-Mildenburg, Berta Lauterer-Foerster, Maria Jeritza, Nellie Melba, Karl Burian, Enrico Caruso, Benjamino Gigli, Jan Kiepura, Richard Kubla, and Tino Pattiera. The theatre did not organise any concerts or opera. 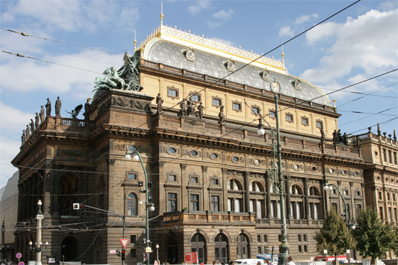 Nowdays, the Prague State Opera is a part of the National Theater and organises mainly opera, concerts and ballet. This theatre building also consists of a spacious auditorium and its distinct decor is in neo-Rococo style which is among the most beautiful in Europe. One of the most significant art buildings of the Czech Republic. The repertoire consists of famous opera by A. Dvorak, B. Smetana, G. Puccini and G.Bizet. 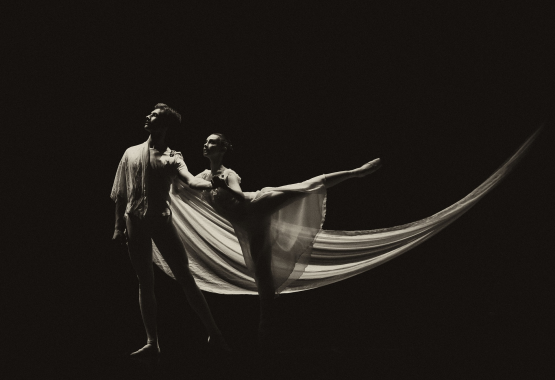 The National Theatretoday comprises three artistic ensembles – opera, drama and ballet. 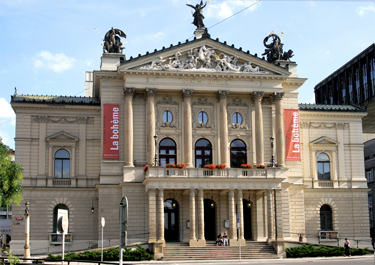 The National Theatre is the Czech Republic’s most representative stage. It became one of the symbols of Czech national identity and it is also a symbol of national cultural heritage. The first foundation stone was layed out on May 16th, 1868. The Czech people facilitated in its construction by collecting money all across the country.i The building was constructed by czech architect Josef Zitek and the buliding bears a Neo-Renaissance concept of a classic architecture. The National theatre was firstly opened in 1881 but two months later the fire broke out and destroyed a big part of the theatre. The fire was seen as a national catastrophe and met with a strong determination to organise a new collection. The building of the National Theatre was re-opened in 1883 by a performance of Smetana´s Libuse. A very impresive building.Well known mainly becouse of W. A. Mozart who conducted the premiere of Don Giovanni for the first time ever in this theatre – in 1787. The repertoire consists of Mozart´s opera Don Giovanni, Magic Flute, Figaro as well as of other opera. The Estates Theatre is the place where W.A. Mozart himself introduced his opera Don Giovanni for the first time. The theatre of the Estates is one of the most beautiful buildings in Europe. 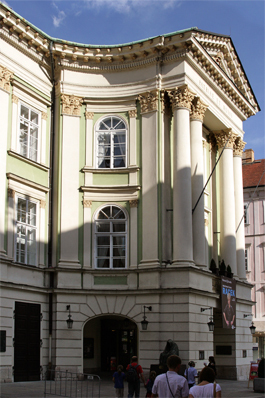 Originally called Nostitz´s theatre the buiding was open in 1783 and produced mostly plays in German language. The building is constructed in classicist style and one of the few buildings that has survived in its original state. However, the building is mostly known and famous because of W.A.Mozartwho stayed in Prague a few times and chose Prague and the Theatre of the Estates to be the place for conducting a world premiere of his Don Giovanni on October 29th in 1787. It is also a place where a famous movie Amadeus by Czech director M. Forman was filmed. Nowdays, Don Giovanni is performed here in summer on daily basis.